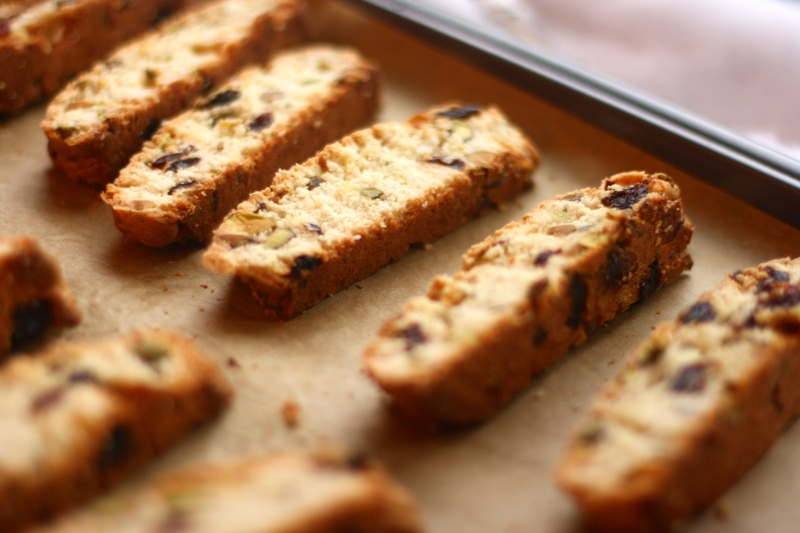 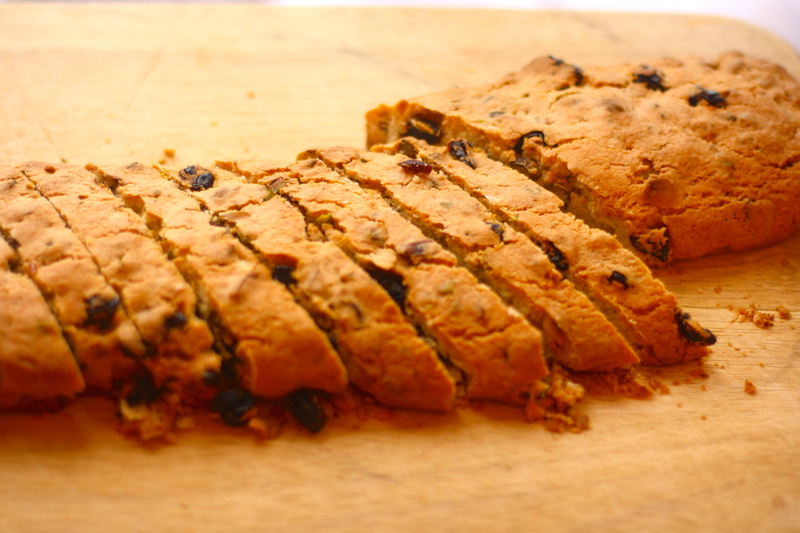 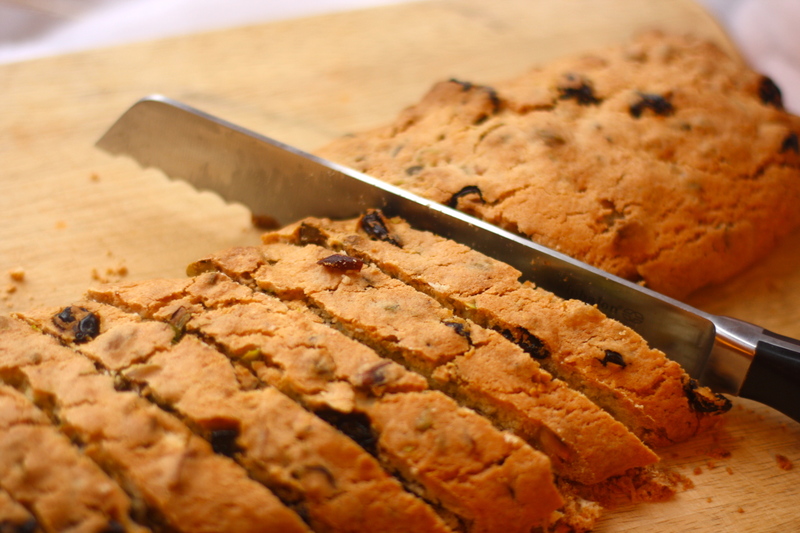 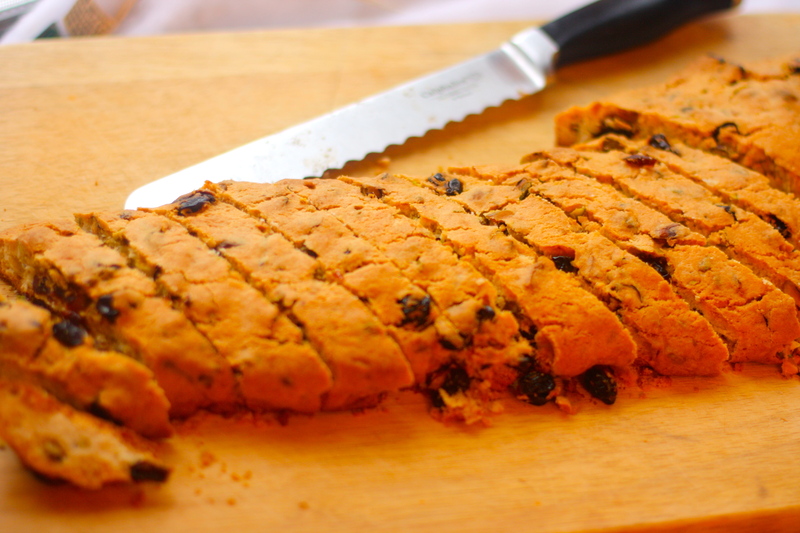 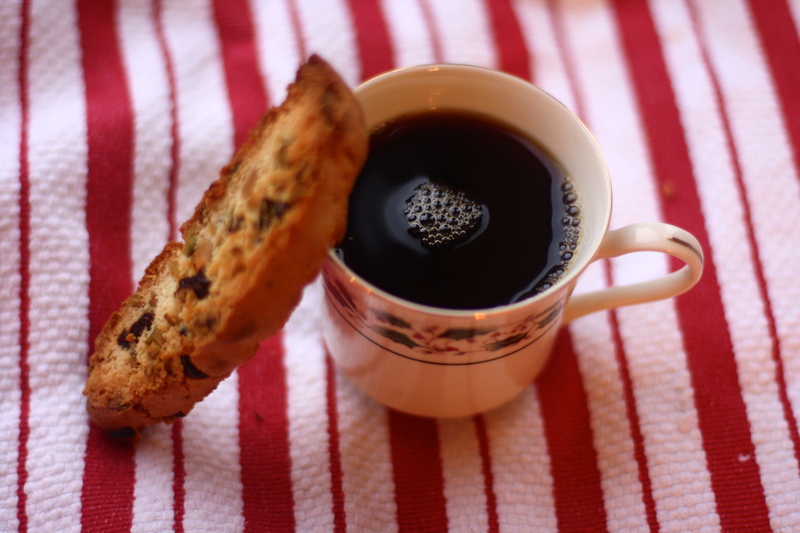 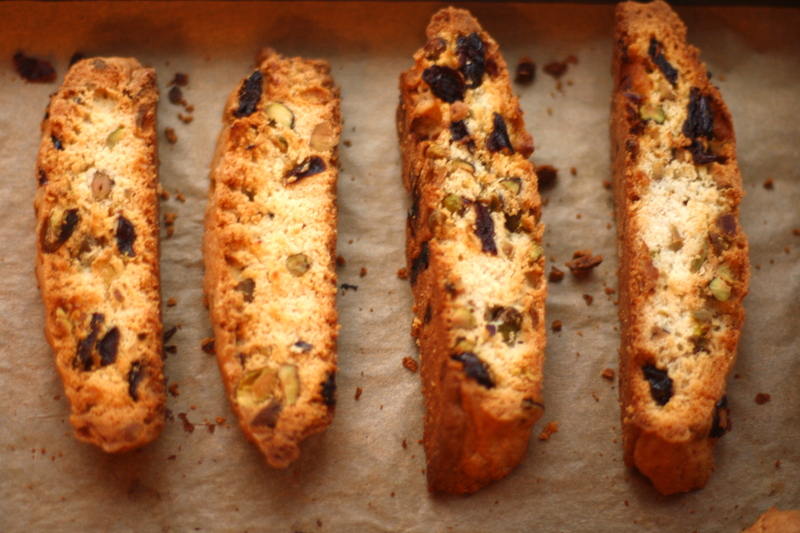 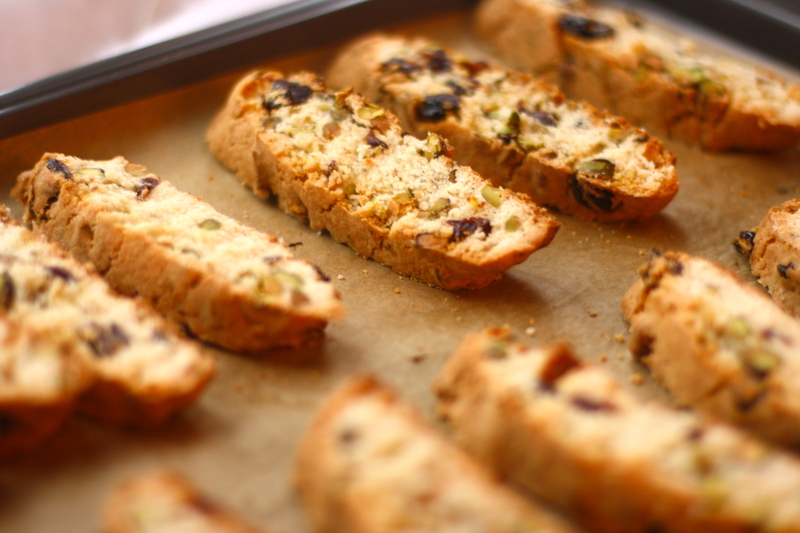 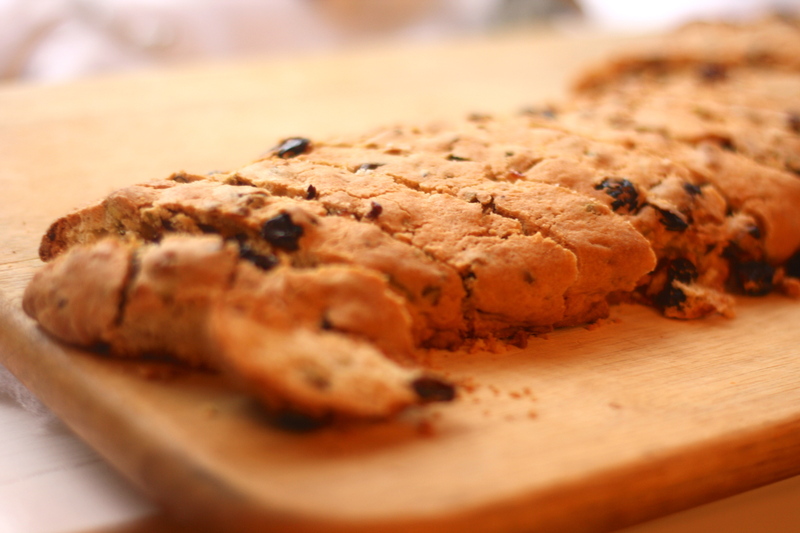 Biscotti literally means "twice-baked" in Italian as evidenced by their two-step baking process. 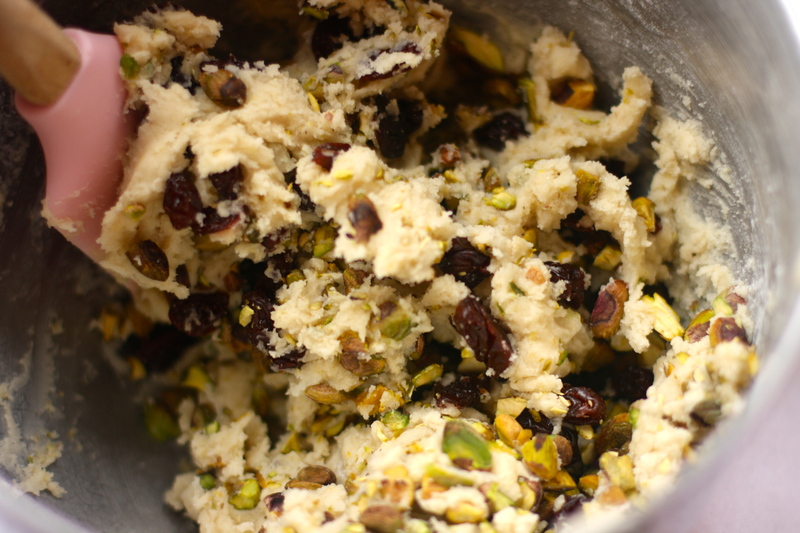 The bright and lemony dough is laced with pistachios and dried cherries. 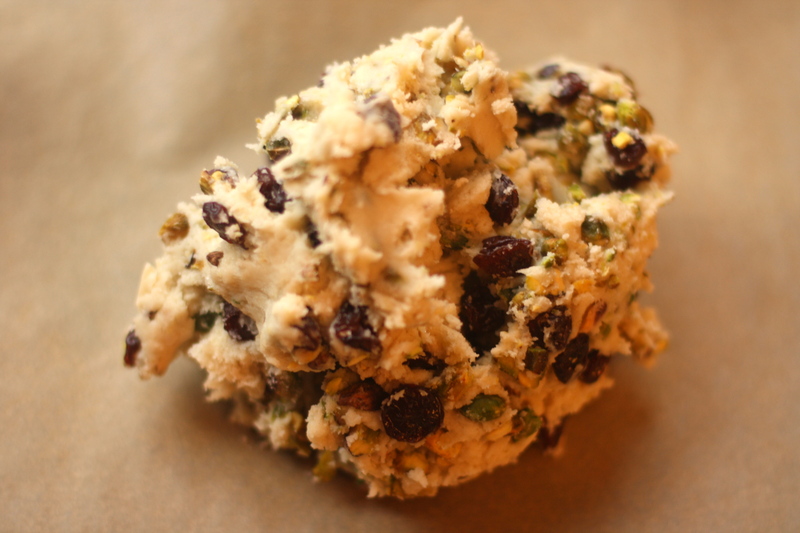 The green pistachios and red cherries represent the colors of the season and, as I like to think, the Italian flag.I especially love them because they are not much more difficult to make than a drop cookie and are always a crowd-pleaser. 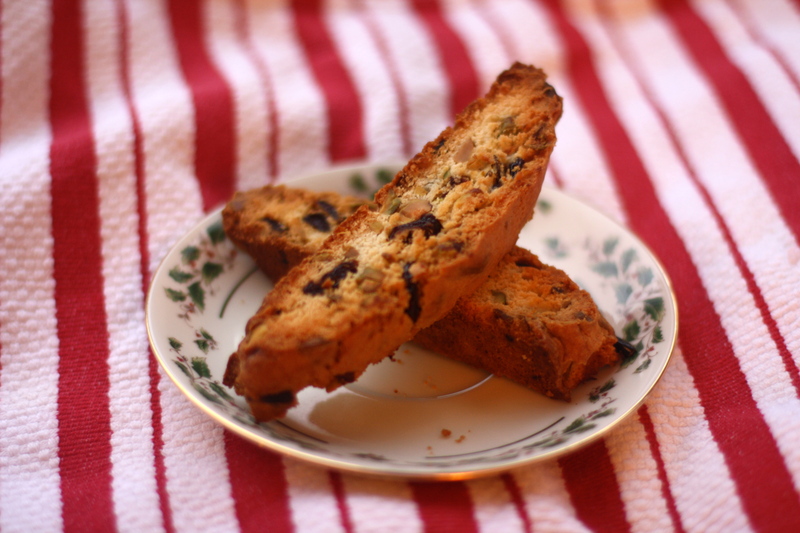 It is a light, simple dessert to end your meal of prime rib and lasagna (my Christmas is multi-cultural). 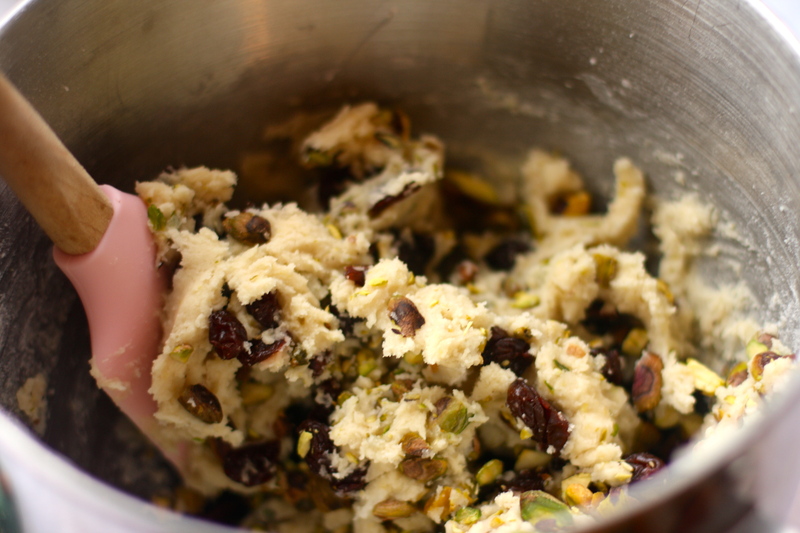 Cream butter and sugar, add eggs one at a time along with the lemon zest, add flour-baking-powder-salt mix and mix until just combined, then fold in the pistachios and dried cherries. 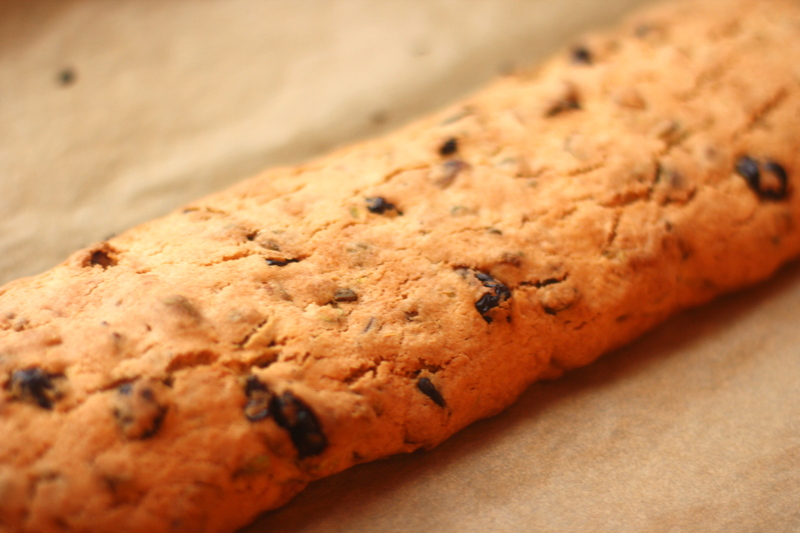 And using damp hands, shape into a log. 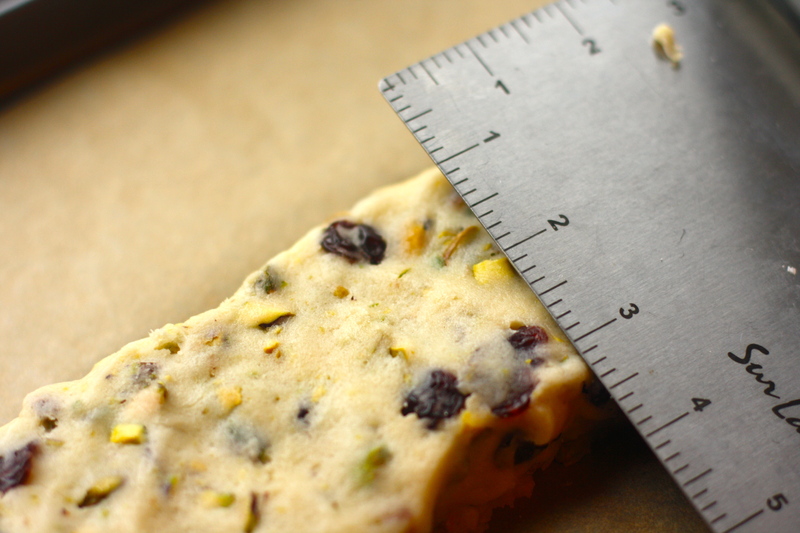 A 13 x 3 inch log to be exact. 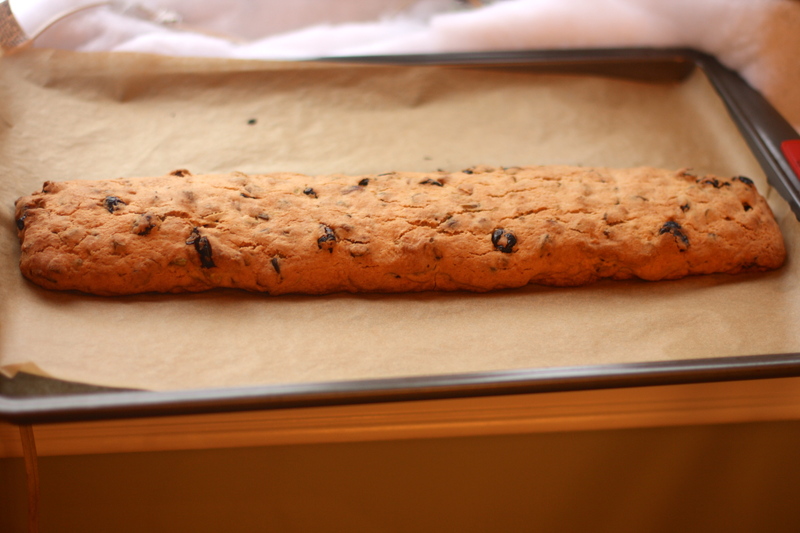 Bake the log for 30-40 minutes at 350 degrees Fahrenheit until light golden. 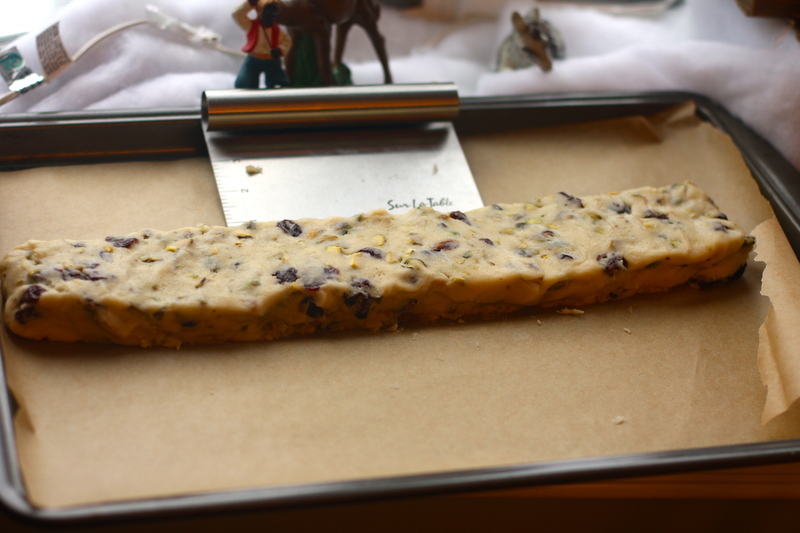 Transfer to a cutting board and slice the baked log on a bias into 1/2-inch slices. 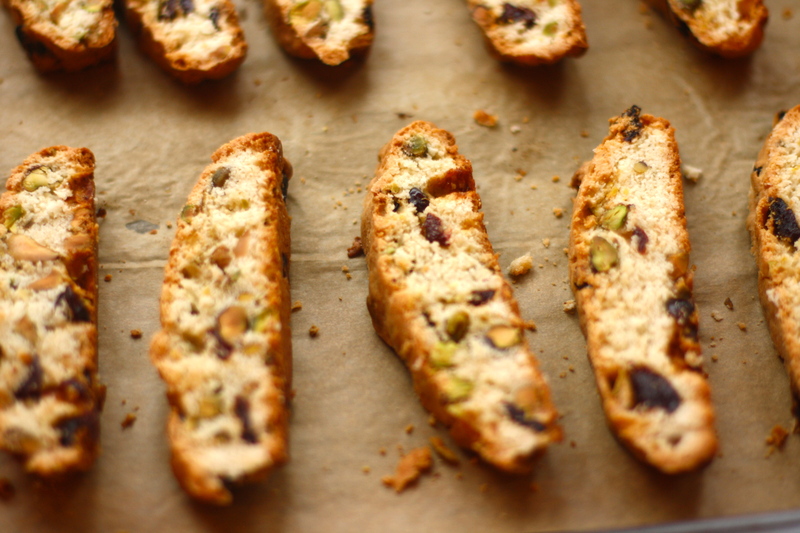 Next, place the sliced cookies back on their respective baking sheets, face up. 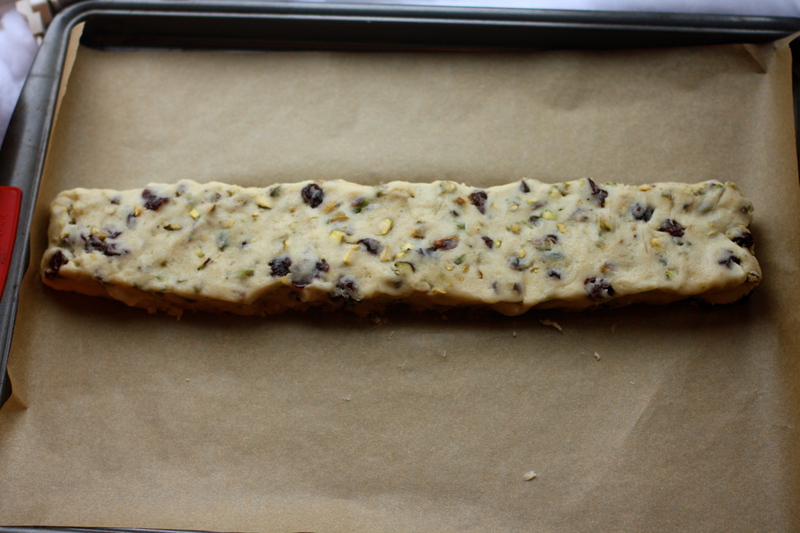 Return to the oven for 15 minutes until golden brown. 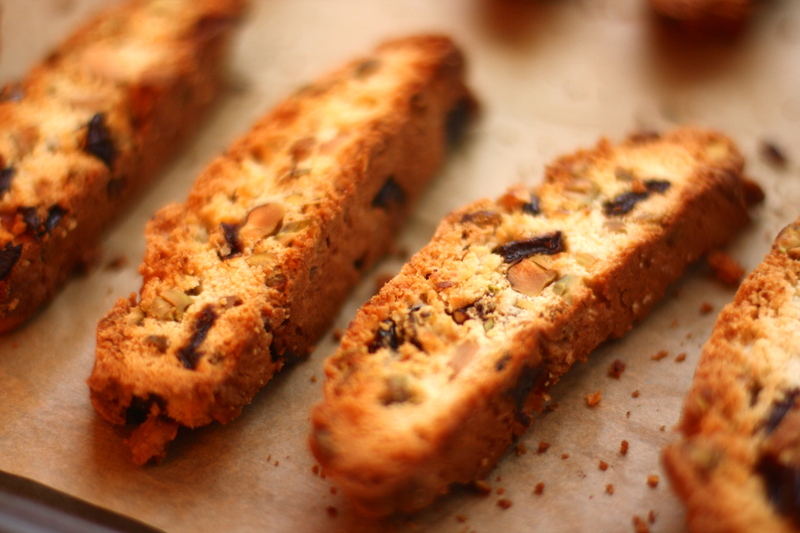 Biscotti were originally popular among the Romans because they had a long shelf life and allowed for long days of travel. 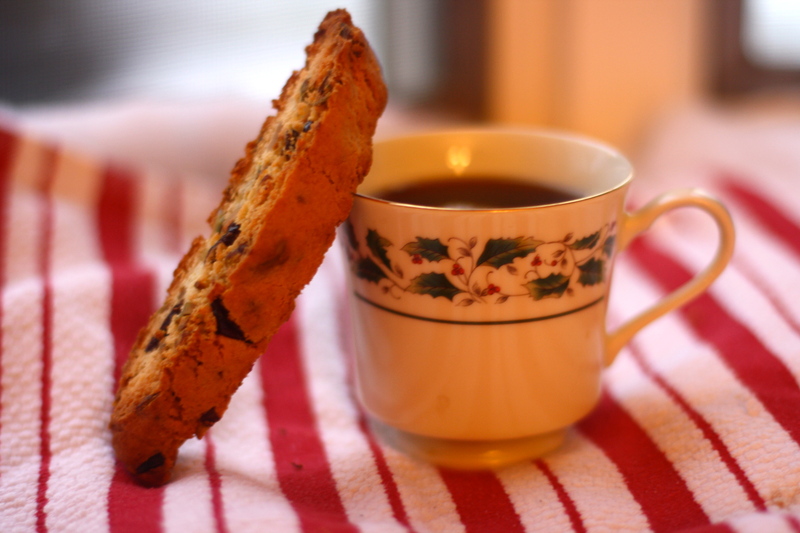 These days, the dryness of the cookie lends well to dipping. 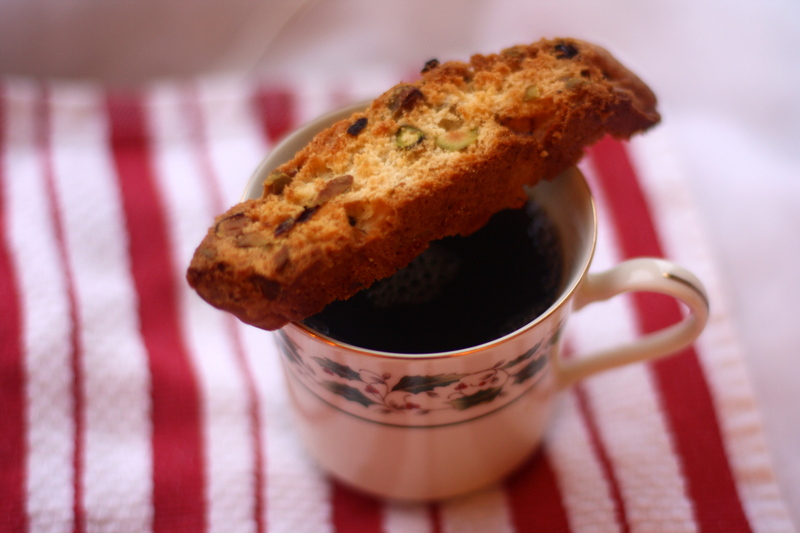 Preferably in a cup of coffee and ideally in un cappuccino!